A new wave of Chinese tech companies are planning forays into public markets to raise billions of dollars through initial public offerings. But some of them may face a bumpy ride amid volatile markets and escalating trade tensions. 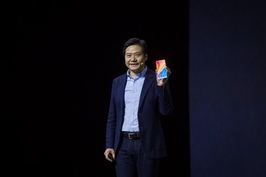 Smartphone maker Xiaomi Corp., whose shares will debut in Hong Kong trading Monday, is one of the most-watched tech IPOs since the 2014 flotation of Alibaba Group Holding Ltd. Xiaomi raised $4.7 billion through the issuance of 2.2 billion shares, but the pricing was 23% lower than projected. More big listings are in the pipeline. Meituan-Dianping, China’s largest online on-demand service provider which calls itself the “Amazon of services,” filed an IPO prospectus in Hong Kong in late June. The company is likely to launch a $4 billion flotation giving the company a valuation of as much as $45 billion, sources said. Other enterprises that have moved toward public listings include online travel agency Tongcheng-Elong, steel trading platform Zhaogang, group buying site Pinduoduo, livestreaming platform Inke Ltd. and Tencent Holdings’ music unit. Last year’s upbeat stock market and regulators’ warm welcome to tech companies have fueled the IPO boom. Over the past several months, regulators in Hong Kong and the mainland have unveiled new policies to make IPOs easier for tech startups. The listing push also reflects the maturing of many Chinese tech startups to the point that early investors want to monetize their equity stakes after years of cash-burning expansion. At the same time, some companies are seeking new funding to grow further, analysts said. Companies are rushing to list because they don’t want to miss a window of opportunity amid growing market uncertainties and elusive investor sentiment, several analysts told Caixin. But they called for caution about the IPO surge and hefty valuations. “The trade war between China and the U.S. and concerns over asset bubbles and financial risks, as well as uncertainties of monetary policy and exchange rates, are all affecting expectations of the global stock market,” said Wang Ran, chief executive officer of Chinese private investment bank CEC Capital. Chinese tech startups have geared up for IPOs since late last year following the high-profile flotations of online insurer ZhongAn Online Property & Casualty Insurance Co. and online publisher China Literature Ltd. Shares of Tencent Holdings-backed China Literature doubled in price in its first trading day in Hong Kong after an HK$8.33 billion IPO. Tech companies were encouraged by the bull market in Hong Kong and the U.S. in 2017, as well as favorable signals sent by regulators to attract tech listings. Hong Kong in April opened the door for dual-class share structures and pre-profit biotech companies after months of consideration. China’s mainland regulators followed with a Chinese depositary receipts pilot program designed to invite more tech listings on the domestic yuan-based A-share market. CDRs are tradeable certificates issued by Chinese banks that represent shares listed on foreign markets. So far this year, 26 Chinese tech companies have sold $8.5 billion of new shares through IPOs, including many household names such as video sites iQiyi, Bilibili and online medical services platform Ping An Good Doctor, according to financial market information provider Dealogic. The China IPO volume accounts for 9% of the global total of new offerings during the period. But market sentiment changed swiftly, and 2018 has been rocky for stocks. The Shanghai Composite Index declined below the psychologically important 3,000-point mark since June 19, while the Hang Seng Index in Hong Kong has weakened since May and slipped below 28,000 points on July 3. While the U.S. stock markets hold relatively steady, investors are more cautiously scrutinizing Chinese tech companies’ business models and valuations. New York-listed online microlender Qudian Inc., which raised $900 million in October in one of the biggest IPOs last year in the U.S., has been on a wild ride as its American depositary shares surged to $35.45 each from the offering price of $24, then nosedived to around $8. Online used-car dealer Uxin Ltd., which debuted June 27 on the Nasdaq, has largely traded below its IPO price of $9 a share. The stock closed at $7.34 Friday. High-tech equipment-maker Foxconn Industrial Internet Co., a unit of the manufacturing giant Hon Hai Precision Industry Co., debuted in Shanghai in early June, surged three straight days and since declined. Its market cap shrank to 339 billion yuan as of Friday since a peak of more than 500 billion yuan. Foxconn Industrial won IPO approval from mainland securities regulators in a light-speed 36 days, reflecting regulators’ support for tech listings. In Hong Kong, nearly 70% of shares listed this year have dropped below their IPO prices on the first trading day, said Wong Wai-bong, an entrepreneurial group leader at PwC Hong Kong. “The stock market volatility and weak performance of newly-listed shares have dented pricing of new issuers,” Wong said. On June 29, Xiaomi priced its stock at HK$17 ($2.17) for the Hong Kong IPO, at the bottom of the target range of HK$17 to HK$22. The new pricing reduced Xiaomi’s IPO size by 23% to $4.7 billion from the projected $6.1 billion. That put the value of the company at $53.9 billion, down from the $80 billion that the company expected. Tech startups are lining up for IPOs to tap the public market partly because of less capital availability from private equity investors and venture capitalists, analysts said. CEC Capital’s Wang predicted that the supply of capital on the private equity market will fall by half in the second half of 2018 from a year ago. By the end of 2019, 20% to 30% of private equity fund managers and general partners will exit the market because of difficulties raising funds, Wang said. Tightening liquidity and stiffening regulation of the asset management business have squeezed China’s private equity market since late 2017, draining capital supplies to tech startups that rely heavily on private investment for business expansion. A new asset management rule issued in April set stricter requirements for the investment of banks’ wealth management funds, which were a main source of borrowing for private equity funds. Zhou Wenyuan of Hua Chuang Securities said China’s 100 trillion yuan asset management market will shrink by as much as 30 trillion yuan in a year following the new industry rules. As getting money from private equity investors becomes increasingly difficult, companies don’t want to miss the window of opportunity for IPOs, Wang said. Amid volatile markets, tech giants’ enthusiasm for domestic listing through Chinese depositary receipts has cooled. 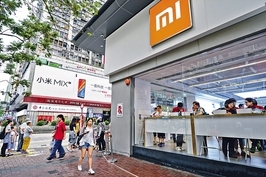 Xiaomi initially planned to offer CDRs at the same time as its Hong Kong IPO but postponed the issuance two weeks ago. Several sources close to regulators said Xiaomi pushed back the CDR plan because it could not reach an agreement with the China Securities Regulatory Commission (CSRC) on the issue price. Alibaba also pushed back its timeline for issuing CDRs because of disagreement with the regulator on the price and size of the offering, said one person closed to the CSRC. Trading at a price-to-earnings ratio of 47 in the U.S., Alibaba’s shares are difficult to price domestically because that is more than twice China’s P/E limit of 23 for new listings in effect since 2014 — a move first taken to protect small investors in an unstable stock market. Pricing for JD.com is even more of a challenge as the company is currently trading at a P/E of 300 on Nasdaq. Alibaba and JD.com have completed all the necessary documents required to apply to issue CDRs but appear to be in no rush to hand them over to regulators, a securities firm source told Caixin. 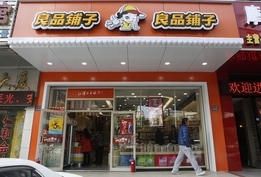 Baidu Inc., which was expected to be the first to issue CDRs after Xiaomi shelved its issuance plan, has not made any new moves since racing to prepare its application, a person close to the company told Caixin. Another potential issuer, NetEase Inc., has also become less enthusiastic about CDRs, Caixin learned. 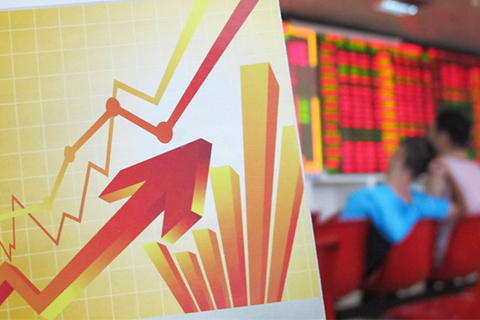 Regulators hope to discuss CDR arrangements once the A-share market stabilizes and market sentiment recovers, a source from a securities firm told Caixin. But regulators did not specify to what level the market needs to recover before continuing to push forward with CDRs, the source said.